Many people are not aware that you can divorce without instructing lawyers or solicitors. There are pros and cons of doing this and it's important to be aware of all the options available to you before you commit either way. This blog will help you understand the pros and cons of divorcing or ending your civil partnership without the help of a lawyer or solicitor. It will also lay out some other options that are available to you. If your ex is abusive or threatening then a lawyer can make applications alongside your divorce to keep you or your children safe. It’s dangerous to try and negotiate with someone who may harm you. If you suspect your ex is getting rid of assets, hiding them or transferring things into other people’s names then a lawyer can help you get a freezing order to stop this. If you have complicated assets and are unsure of your legal position, a lawyer (or a divorce law specialist) can help you understand your options. However, it doesn't mean you have to use them throughout the whole process. A solicitor will fight your corner and you may get a ‘better deal’. However, you should bear in mind that if you ex has a solicitor too – they will be doing the same thing. If your ex won’t cooperate or negotiate then you will need to court to make decisions on your behalf and a solicitor is best placed to do that. It’s expensive. 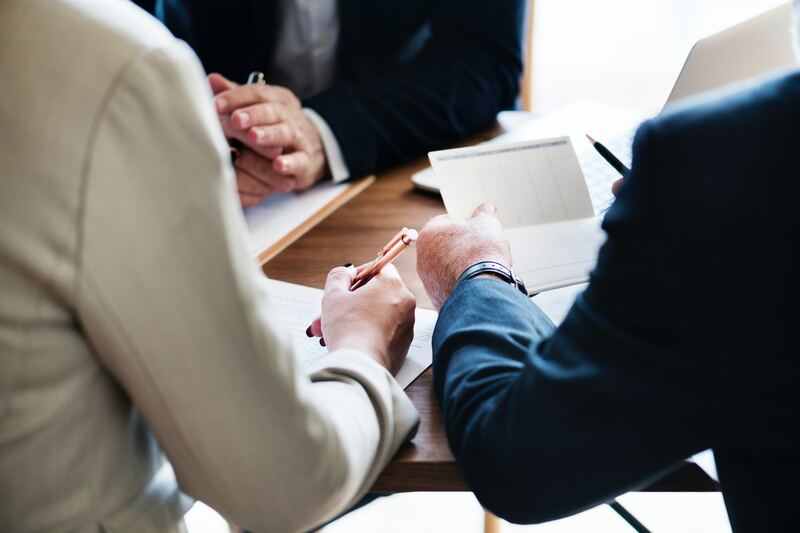 If you both engage a lawyer you will have hefty bills to contend with at the end of the process – that’s money you could be spending on your family. Consider whether you are on ok-enough terms to use an alternative service. The average cost of asking a solicitor to sort out your finances, for example, is £8,000 (each). It could make communication between you difficult. Lawyers send letters and emails that are very factual and are not written with your spouses' feelings in mind. This can cause ructions between you and lead to acrimony. It can make co-parenting difficult post-divorce. Involving a lawyer can create a dependence that leaves you unable to talk easily once the divorce is over. If you use your lawyer to sort out issues that arise then at the end of the process when the lawyers step away you can be left struggling to sort things out yourselves and co-parent. It’s not necessary. Most of a divorce is clerical and administrative. There is very little legal advice involved in a straightforward divorce. A lot of information can be gathered for free and there are lots of services who will do the paperwork for you. You don’t need to pay an expensive lawyer to do standard paperwork. It's slow. A lawyer has to write letters and emails (which they will charge for) and then wait for a reply. This can add considerable time to the process. Talking to each other directly will speed things up and cut out misunderstandings. If you both feel comfortable with the legal forms then you can do the divorce yourself using the government website. The cost of a DIY option is the government court fee of £550. Before you pay this, check whether you're entitled to help with fees by clicking here. To end your financial relationship, you'll need to get a consent order, as the divorce paperwork doesn't cover this part. Click here for more advice on consent orders. There are various online services, including amicable, who can do your divorce, sort out your finances and manage the legal paperwork without instructing a solicitor. These are usually fixed fee and offer different levels of service depending on how much of the work you are prepared to do yourself. If you're finding it difficult to agree you can use the traditional combination of mediation to help you come to your arrangements and then either lawyers or an online service to draw up the legal paperwork. Mediation will facilitate an agreement and works best when you are equally matched in terms of your financial power within the relationship. amicable offers a variety of services from completing your divorce paperwork to an end to end service for couples who want to divorce and sort out their finances and children arrangements without lawyers. We can help you negotiate a fair financial split and make a parenting plan demonstrating how you will co-parent if you have children together. Unlike mediators, all our packages include drawing up all your legal paperwork and liaising with the courts. If you are struggling to agree on either your whole divorce or a single issue within it, an arbitrator will settle your case out of court and make a legally binding decision on your behalves after reviewing the details of your case. The decision they come to is legally binding and you cannot appeal or disregard it once you have agreed to the arbitration process. It is like having a private court hearing, but cheaper and quicker than going through the court system. It is a good alternative to starting court proceedings. The court is the right option for you if there are danger signs like hiding assets or abuse. It’s best to avoid court if you can and keep control of the process by using an alternative service. However – sometimes you have no choice. Going to court should be, where possible, avoided as it is usually the most expensive, long-winded and traumatic way to divorce. If you would like some support in figuring out the best way forward for you and your family, then please get in touch for a free 15-minute advice call with one of our amicable experts.